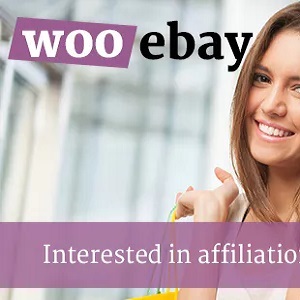 The WooeBay Affiliates Plugin allows you to mass import products from eBay in just minutes! Import one product in one second! Insane mode does what it says: it allows you to import products at insanely speeds! Search for products, grab products from pages like “Best sellers” or “Top rated” or import them using a list of ASIN codes you already have! The plugin has included the Automated Content spinner module, which is Excellent On Page Optimization for Products! Worried about Google finding duplicated content? Using the automated content spinner module, the content is automatically spinned upon import and that way you will have unique content in no time! You can setup to spin the content upon import, or manually after import, and setup maximum spin replacements. You can setup all possible replacements, 10, 30, 60, 80 or 100 replacements. As thesaurus we have available the following languages: English, French, Spanish, German and Italian. We also have a Rollback option, in case that you want to change the content to the original state. Using the Advanced Search Module, You can browse trough all Provider’s categories &subcategories, search by keyword, filter by brand, price, merchant, popularity, best selling products, and you can import unlimited products! You can import products from all eBay Locations. Using the CSV Import you can import an existing ASIN list with Products. There’s no limit for products, so you can import thousands of products at a time! Using the Products stats you can easily see statistics for the imported products from Amazon, Ebay, Aliexpress & Envato Marketplace. You can see the most popular products, how many hits they had and how many redirections to amazon. Simply Activate the Plugin Cronjobs, select what you wish to sync (title, prices & so on) and that’s it. Products will get synced automatically without any effort from your side. Email subject – Setup a custom subject so it’s easier to recognise the report. What’s the cool thing about eBay Report? Well it comes via e-mail, and you can setup to receive an email containing these statistics on at least 12 hours and up to once per month. If you wish to add amazon products in posts, now it’s possible! Using shortcodes you can easilydisplay products into posts!